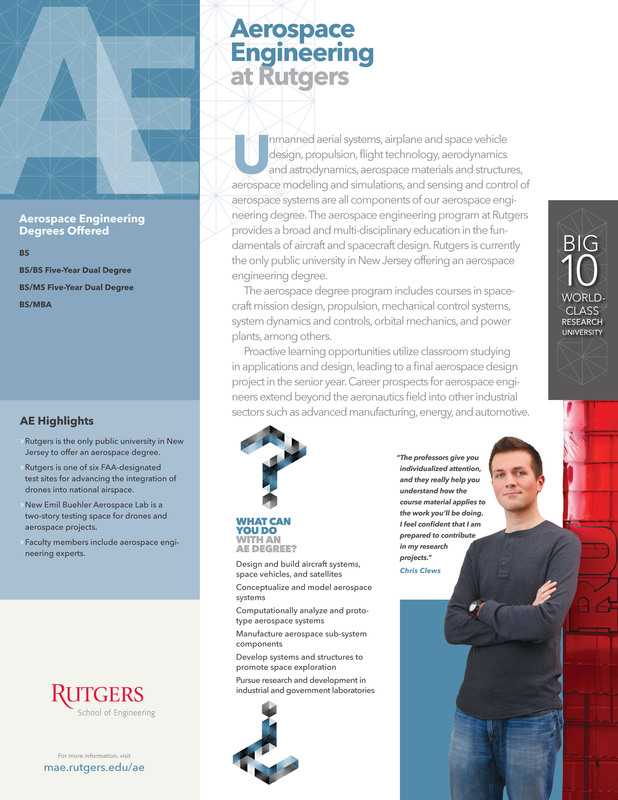 Imagine being a student in a mechanical and aerospace engineering program where you complete a senior design project that could include designing and fabricating a formula-style race car, mechanical fish or butterfly, propulsion system for a human-powered submarine, scale model of the parabolic reflector of a starship, curb-climbing wheelchair, or a pulsejet-driven Tesla turbine. Virtually every object around us has passed through the hands of a mechanical engineer, making this field of engineering on e of the most broad-based, extending into a wide range of industries, including robitics,energy generation, distribution, advanced manufacturing, automotive aerospace, naval, materials development, and more. 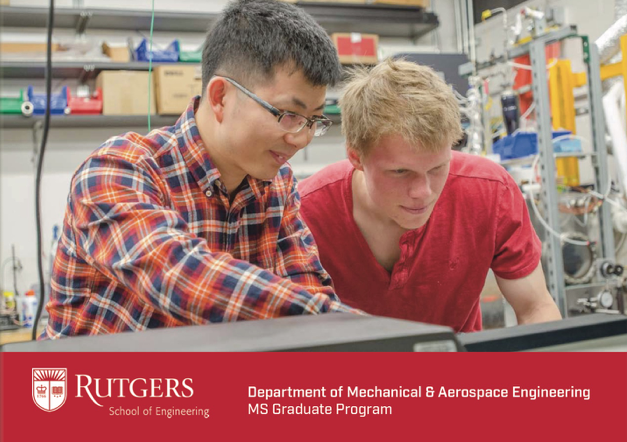 The mechanical and aerospace engineering program at Rutgers provides students with a focused engineering education along with specialization in the interest areas of aeorspace and energy. We believe that a solid foundation of mathematical, scientific, and technical knowledge provides students with opportunities for meaningful research and prepares them for a globally competitive, diverse workplace. The undergraduate program focuses on classroom instruction fostered by learning in multi-disciplinary project-teams. Students have access to state-of-the-art equipment in neearly 20 advanced labs and centers to apply their classroom learning increating designs and conducting experiments. Internships provide practical professional experience in business and industrial settings. MAE faculty members have experitise in a variety of areas and are dedicated to excellence in teaching, research, and professional service. They bring experience, real-life industrial problems, and enthusiasm to the classroom, setting a standard for students to follow in their professional careers. 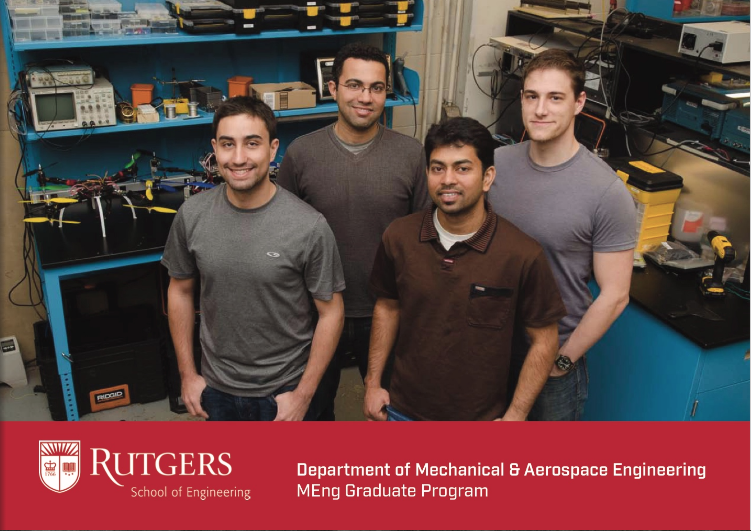 The graduate program in mechanical and aerospace engineering offers the degrees of M.Eng., M.S. and Ph.D. in an intellectually and academically stimulating environment. Our program takes pride in the collegial student-faculty relationship it provides and in its preparation of students for successful careers in industry, government and academia. Students receive a strong technical background, preparing them for leadership careers in an exciting and challenging profession. 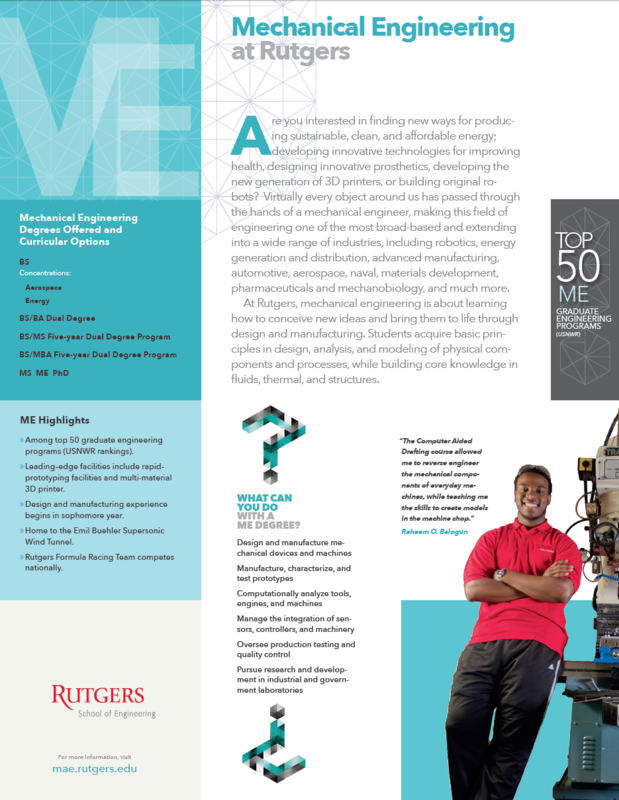 Students learn about the principles behind mechanical engineering concepts, which they apply during their senior design project near the end of their undergraduate career. 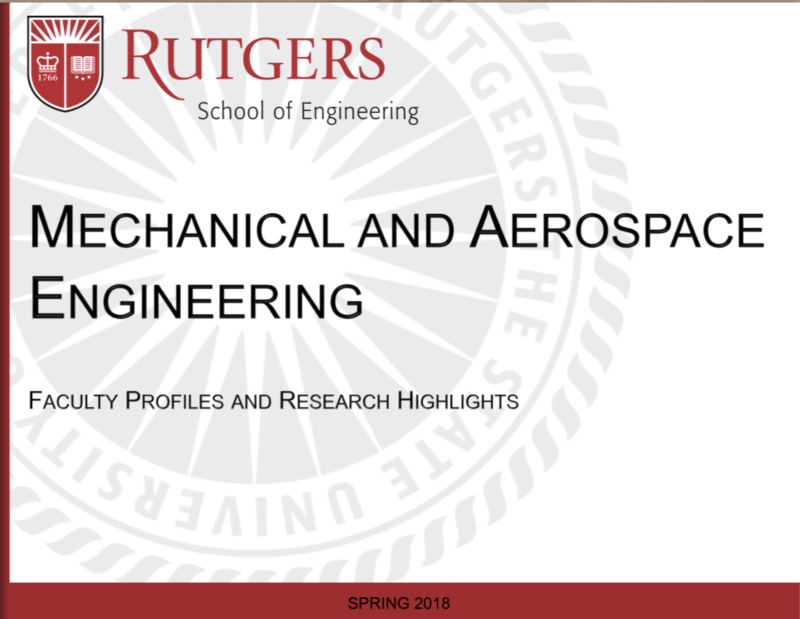 Additionally, students have the option to concentrate in either Aerospace or Energy, further broadening their skillsets during their time here. 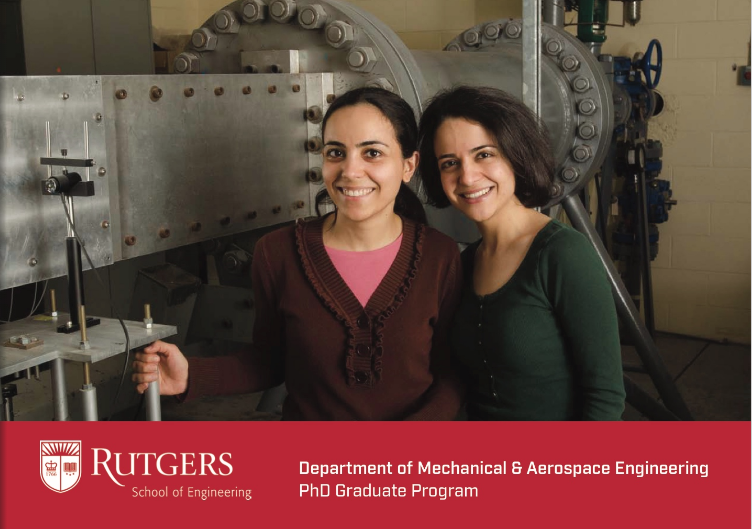 Nearly 100 graduate students are working towards a master's or Ph.D. at Rutgers, served by just under 30 faculty members. Many of our students are part-time, working at major companies in the area, while others pursue their studies as full-time students.